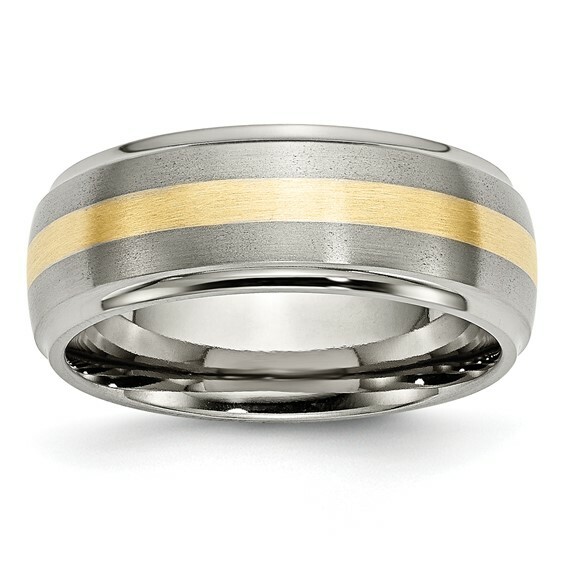 Titanium wedding band has a brushed flat center with 14k yellow gold inlay. Polished edges. Width: 8mm. Made of aircraft grade titanium. Comfort fit. Import.